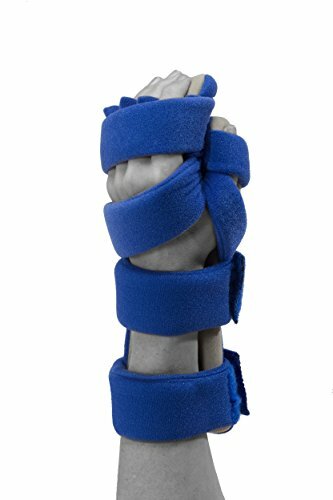 The Flo-Form Restorative Medical BendEase Hand Splint is designed to help comfortably support your hand, wrist and fingers. It is the perfect post-surgery solution for those with carpal tunnel syndrome, arthritis, tendonitis, trigger finger or other hand and joint pain. The BendEase brace provides even distribution of pressure through thermal adaptive and fluidized technology. The BendEase Hand Brace is designed with our patented Flo-Form technology. The technology micro-contours to the shape and size of your hand and wrist to provide maximum comfort and redistribution of pressure. Adjustable straps and a moldable aluminum base help create the perfect fit through every stage of the healing process. Give your hand the support and care it needs with a Flo-Form Restorative Medical BendEase Hand Splint. Order yours today! If you have any questions about this product by Restorative Medical, contact us by completing and submitting the form below. If you are looking for a specif part number, please include it with your message.